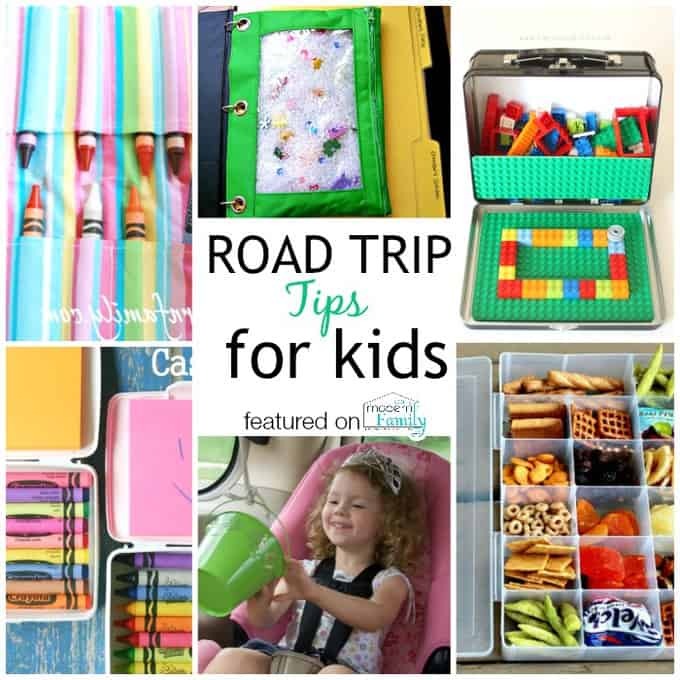 Today I have partnered with Dynacraft to share some tips for a successful family vacation. Summer is here and so are these family vacations. Growing up, we would have two big family beach trips every summer. I have so many good memories of these times with my family and desire for our family to have moments like these. However, I am now the mom of four kids, not the little girl just along for the ride. While I love family vacations, I have realized that I can sabotage our time together rather quickly. 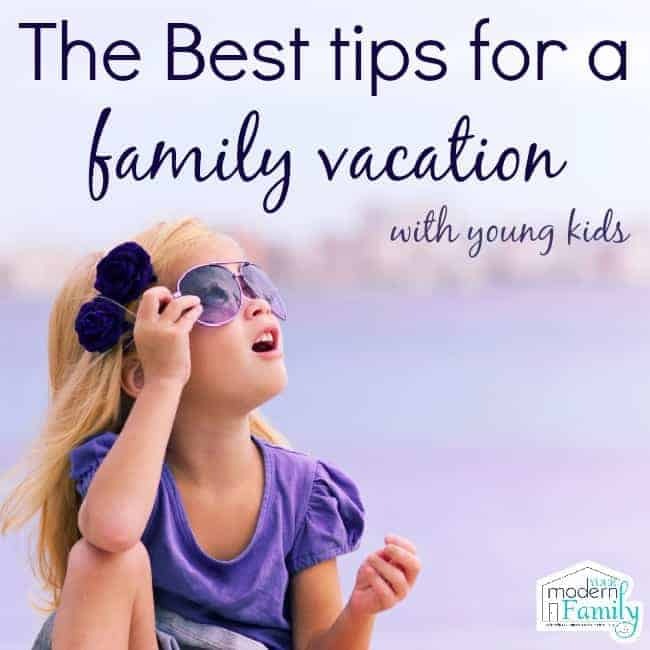 Over time, I have learned 5 simple tips for a successful family vacation. 1) Take your own bikes- About five years ago, we started taking our own bikes and we’ve never looked back! 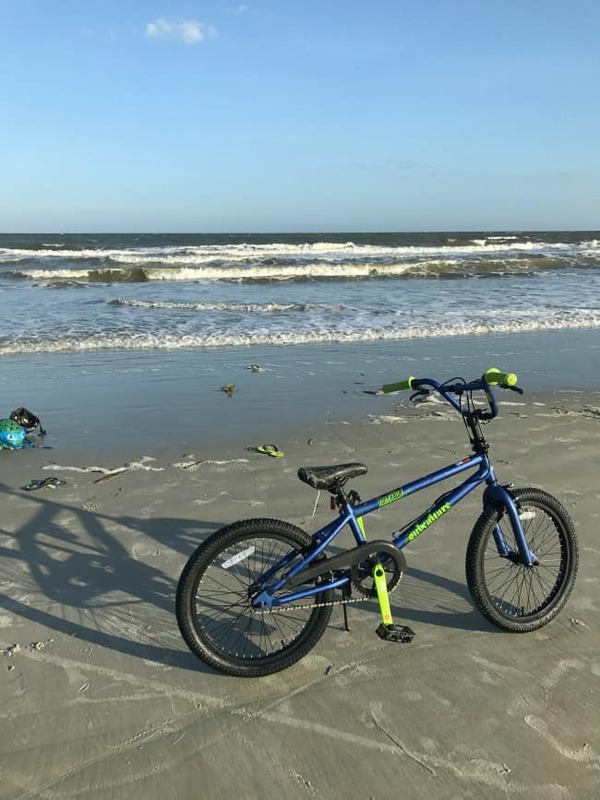 We go biking for hours a day, when we visit Hilton Head, and we would hear many complaints when we had to use rental bikes. Things always went wrong with the rentals and the kids just weren’t as comfortable as they were with their own bikes. Our kids have the Dyncraft bikes and love them (Allie rides in a wagon on the back of my bike or Mickey’s bike). 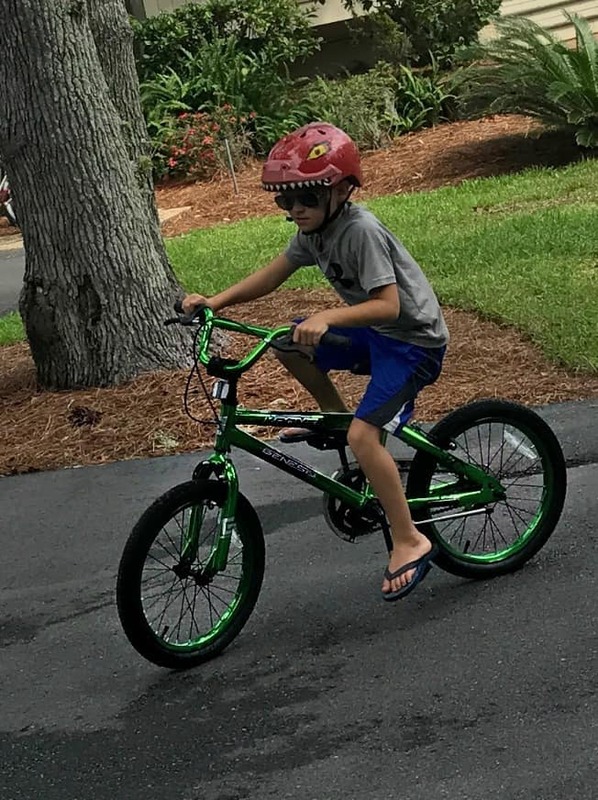 Ethan uses the 18″ Krome Bike, Jack uses the 20″ Krome Bike and Beau uses the 20″ Tony Hawk Bike. Ethan’s bike is for upcoming BMXers. It has a rear coaster brake plus front/rear clipper breaks, so they learn how to stop safely. The pegs on the front make it look really cool (trust me- the kids notice). He looks so serious in this picture, doesn’t it? He’s on a mission! This bike is the new Genesis Krome 18″ Bike. I like it because it’s a great in-between bike for him, the future BMXer. Ethan is done with training wheels, but I like that it has that option for beginner riders. The front/rear brakes are a nice addition, too. It gives them a chance to learn to stop safely. He loves to lead the way… especially on his Dynacraft bike. 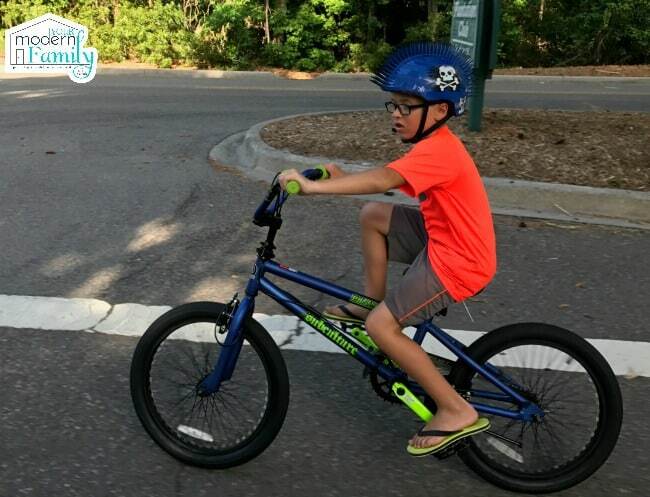 He loves the edgy design and custom graphic saddle that stands out and will satisfy the BMXer-in-training. Plus, he can ride it for a years to come, as it is composed of steel and can handle a rider weight capacity of up to 105 lbs. He loves his 20″ Tony Hawk Subculture bike. Here’s Jack’s 20″ Krome Bike from Dynacraft. He loves the bright blue color & the way that it rides. (You can get it for $99 at Walmart) I would have taken a picture of him on his bike, but he liked it so much that he took a ton of pictures himself! haha! This was his favorite one that he took – he said it made it look the most awesome… who am I to argue with a tween? 😉 lol! This one is great for years to come, as well, as it holds up to 105 pounds. The resin pedals make it last, as well. This Krome blue paint finish that will for sure catch anyone’s attention! Like I said, this year we brought them on vacation (these pictures were all taken during our Hilton Head trip). 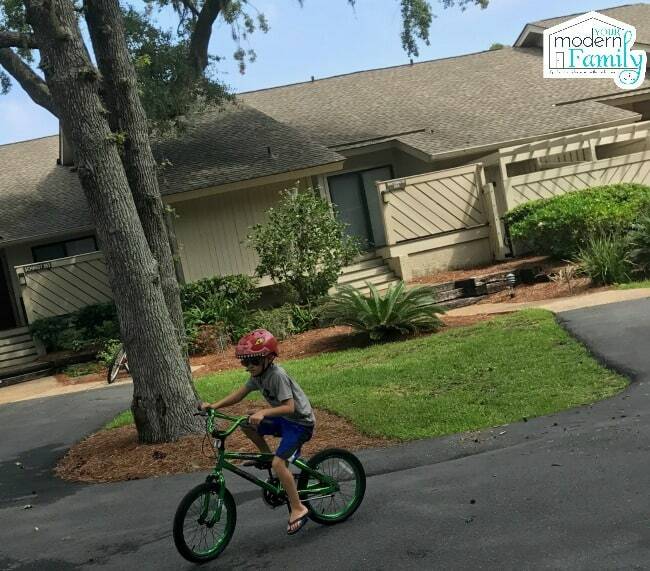 The kids love having their own bikes & helmets on vacation with them. 2) Let go of expectations- Our expectations can be a major hindrance to a successful vacation. So often we have an image in our mind of the perfect family vacation and then when it does not happen, we crumble into a pile of exhaustion and frustration. I am trying to enter family vacations anticipating the tantrums, the items we will forget, the potty breaks, etc. Instead of expecting perfection, I am expecting and embracing the imperfection. 3) Plan ahead- By nature I am a planner and I have seen time after time that it does pay off to plan ahead. Planning does not have to be complicated. 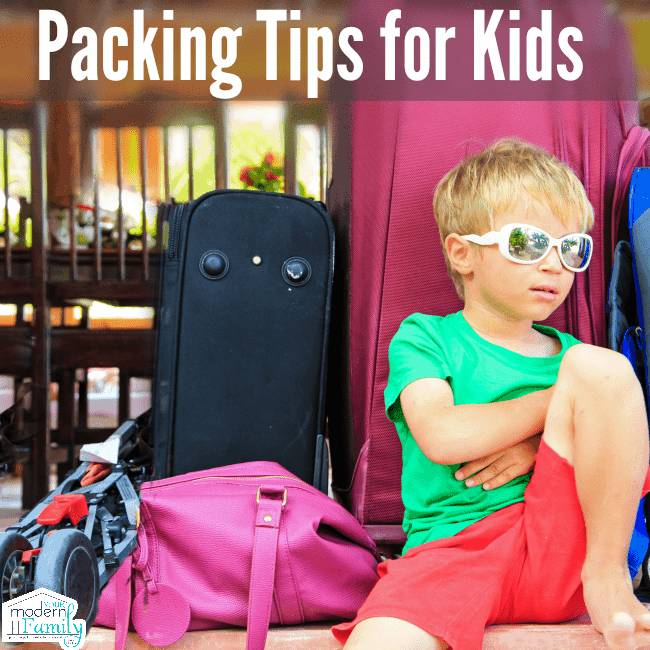 Be sure that you have air in your Dynacraft bike tires, pack snacks and busy bags for the kids as you travel. Keep extra clothes for little ones near by along with diapers and wipes to help with quick stops. With a little bit of planning, you will be able to bypass some of the vacation hiccups that happen. 4) Stick to routines- Vacations are already going to be game changers for your family because you are sleeping/eating/playing in a different location other than your own home. It can be an adjustment for kids to sleep in a new bed or room. Keeping the bedtime routine will help alleviate some of the stress of sleeping in a new location. We always bring our sound machine for the kids as we know they are used to it and it helps create a calming atmosphere. Bring along a favorite stuffed animal or blanket to create a comforting space. Bring things that are the kids... like their bikes. Each of the kids loves their Dynacraft bikes, which is why we bring them. They are sturdy and they look nice (so I like them as much as the kids, knowing they are built to last). 5) Let go and have fun- Be in the moment and enjoy your time. Vacations always fly by and you do not want to regret that you were not embracing the time as a family. Let go of your worries from “regular life” and have fun! Enjoy the family time, take a bike-ride and make the most of it! Ps- We gave our nephew the same bike for his birthday. 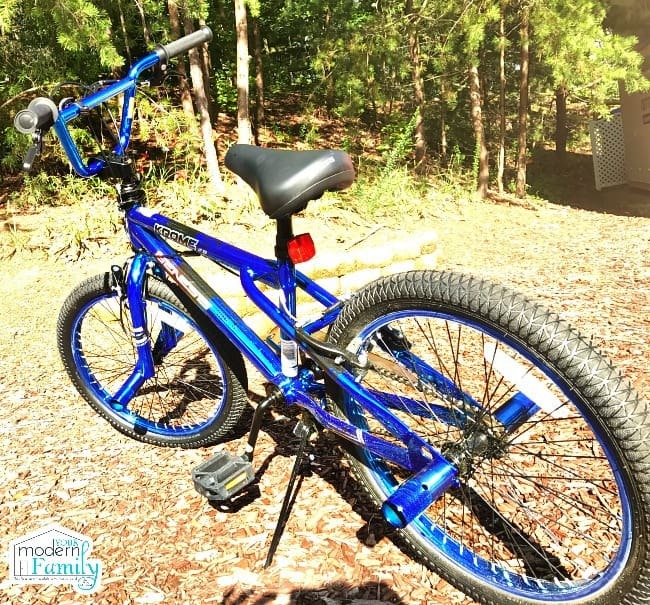 This Dynacraft bike makes an excellent gift! We bring our bikes EVERYWHERE! We love having them to explore on vacation and whenever we rent them, you never know what you are going to get! Exactly – We are the same way!! 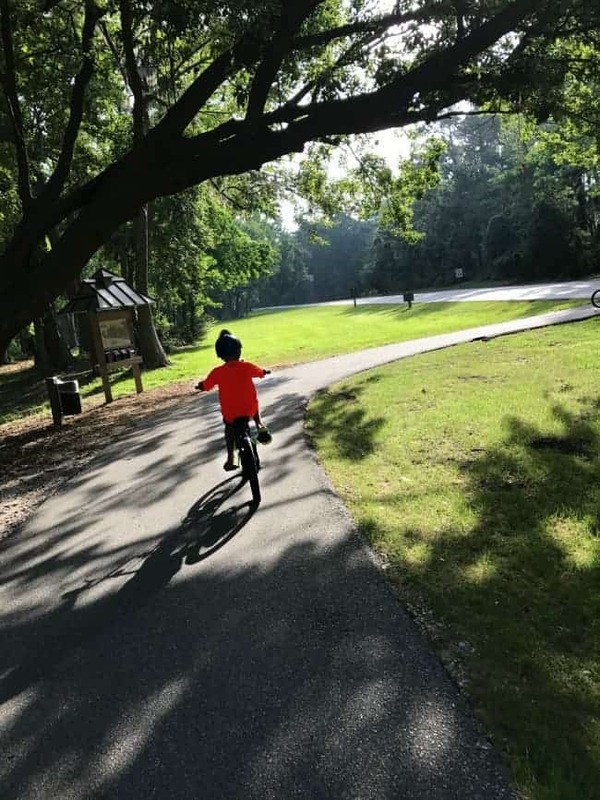 Great idea to bring the bikes along.. especially to the campground (and to have realistic expectations as to what a family vacation should be)!